Pioneers in the industry, we offer polarizing projection microscope, senior projection microscope, projection microscope and student projection microscope from India. 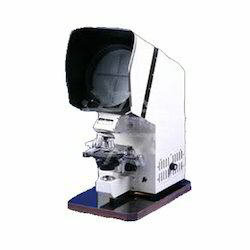 Our organization is engaged in offering a durable range of Polarizing Projection Microscope in the market. 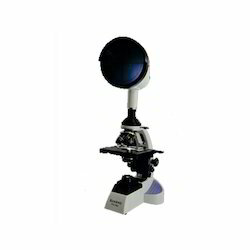 These microscopes are available with us in various sizes. Easy to use, these products are small in size and supreme in quality. These products are widely demanded among the clients for the varied specification and perfect finishing. Holder for phase contrast and dark field. In order to meet the ever changing requirements of our valuable clients, we are engaged in offering an extensive range of Senior Projection Microscope in the market that are precisely manufactured at well equipped infrastructure unit, using the optimum quality of raw material and cutting edge technology in compliance with the industry laid standards. Our offered products are widely acclaimed among our precious clients due to their unique features. Apart from this, we offer this range of products at competitive prices within the committed period of time. It is a high class instrument having wide application in the fields of science and industry. Its various models make it highly suitable for different purposes including group discussion, teaching and research in Pathology, Anatomy, Hematology, Botany, Zoology, Microbiology and Didactics etc. A special model meant for Textile Industries helps in calculating Tex and comparison of different yarns including woolen and man made fibers. Its compact, dust proof construction, functional design and high quality of optical and electronic components make it unbeatable with respect to other renowned makes. The images obtained on the 195mm. built-in screen are bright and contrastful with high resolution. Condenser N. A. 1.25 with iris diaphragm with centering device controlled by two knobs. Built in mechanical stage having co-axial drive controls with traverse 30x40 mm. Coarse and fine adjustment graduated to .oo2 mm. Quadruple revolving nosepiece with centered and Para focal objectives. Distortions free Projection Eye Piece. The adjustment of the microscope requires a few operations only so that the operator is free to concentrate his effort upon viewing and demonstration of the specimen. The built in illuminator has 12valt 100watts Halogen Bulb having highly centered filament. The light is controlled by SOLID STATE variable light control transformer. The light emitted by it passes the objectives, is reflected by a second mirror to the compensating eye piece and projected to the screen through another mirror. An imported fresenal lens just behind the screen makes the surface of the screen evenly illuminated. 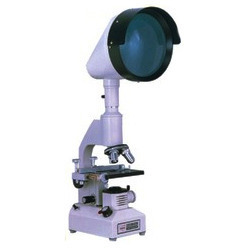 Range of Magnification The Achromatic objective and built in flat field eye piece provide magnification ranging from 80x to 1200x in different models of the Projection Microscope. Magnification correction knob above the nose piece on the right side of it is calibrated and a constant reference index facilitates setting with respect to different objectives without repeated additional measurements. The screen made from optical glass is extremely fine grained so as to obtain high standard of images produced by objectives. The fresenal lens ensures uniform illumination. 195 mm dia round screen enables the operator to view the specimen from a distance normally resulting in a convenient posture. Leveraging on our rich industry knowledge and experience, we have evolved as a pioneer firm to provide an extensive range of Student Projection Microscope to our valuable customers. Manufacture in accordance with the global standards, these microscopes are exceedingly demanded across the nation. Apart from this, we are offering these products at economical price within the committed frame of time.